T-Minus 6 weeks and 2 days from the launch of the 2011 Dallas International Film Festival. Check out the 12 movies that have been confirmed, a few nods at some unconfirmed films coming and how about a quality new media sponsor!! On February 10th, 2011 the DALLAS International Film Festival announced the first twelve films that will screen at this year’s fifth festival (March 31 – April 10) including four world premieres and one U.S. premiere. The festival announced three films set for its Texas Competition, two films in its Family Friendly section and the first film selected for a brand new India Spotlight series. Films entered into the narrative feature and narrative documentary competition will once again have the chance to win an unrestricted cash prize of $25,000 per category courtesy of Target. Darkly comic LUCKY follows the journey of $36 million Iowan lottery winner Ben Keller as he follows his life-long crush, Lucy St Martin. But can all the money in the world compensate for the fact that Ben is a fledgling serial killer? 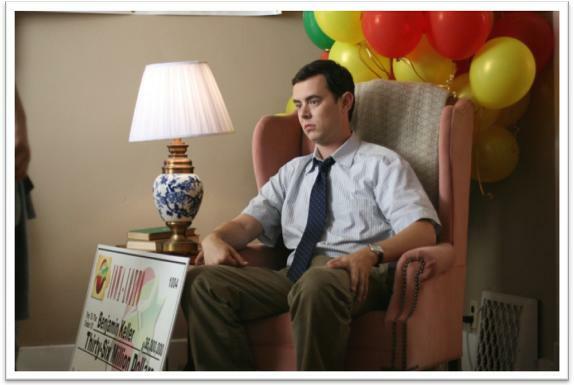 Starring Colin Hanks, Ari Graynor, Jeffrey Tambor and Ann-Margret. We’ll make sure to ask Mr. Hanks about his World Series winning Giants!!! A festival highlight, Family Day, will be returning on Saturday, April 2, with the world premiere of Sam Ditore’s COOPER & THE CASTLE HILLS GANG, a children’s action adventure filmed on location in the north Dallas community featuring the title character’s attempts to help his neighborhood’s beloved grandpa find something he lost. The film’s cast includes rising child star Kyle Kirk as Cooper and JB Edwards as Mr. Wilson. THE PERFECT GAME, also part of the Family Friendly Section, is based on a true story about a group of boys from Monterrey, Mexico who become the first non-U.S. team to win the Little League World Series. The film stars Clifton Collins, Jr., Cheech Marin and Moises Arias. 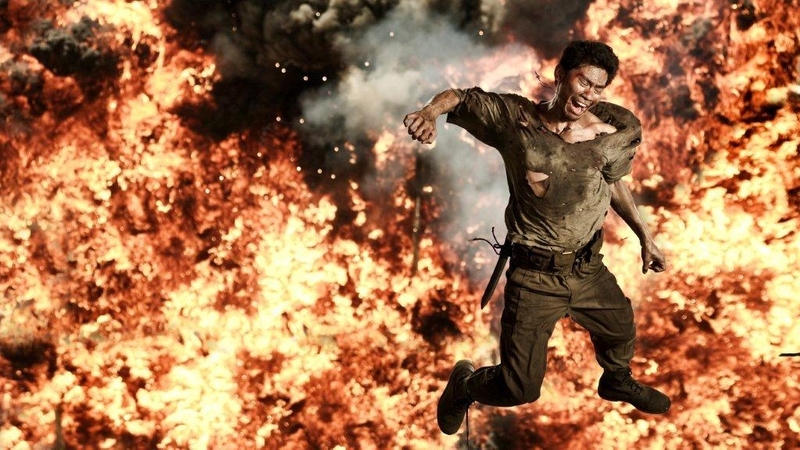 3 Texas Competition Films: Sponsored by MPS STUDIOS. Patrick Tourville’s documentary OK BUCKAROOS is the story of Jerry Jeff Walker, whose music has led him from the nation’s biggest arenas to hundred-year old honky-tonks. Walker is an artist who has been a cog in the wheel of the recording industry’s star-making machinery and an involuntary pioneer on the frontier of artistic independence. Among those appearing in the documentary are Jerry Jeff Walker and Willie Nelson. 2008, David Pomes, Cook County. 2009, David Lowry, St. Nick. 2010, Matt Harlock and Paul Thomas American: The Bill Hicks Story. MUMBAI DIARIES, part of the new India Spotlight Section, is a drama following the intersecting lives of a collage of people, emotions and situations in the diverse city of Mumbai. The film stars Aamir Khan, Prateik Babbar and Monica Dogra. THE OREGONIAN follows the experiences of an Oregon woman who enters a nightmarish unknown after suffering a brutal car accident. The film stars Lindsay Pulsipher, Robert Longstreet, Matt Olen and Lynne Compton. Reeder’s work is familiar to DALLAS IFF audiences following screenings of his short films LITTLE FARM, which was the 2007 Festival’s Short Grand Jury Prize winner, THE RAMBLER and SNAKE MOUNTAIN COLADA. 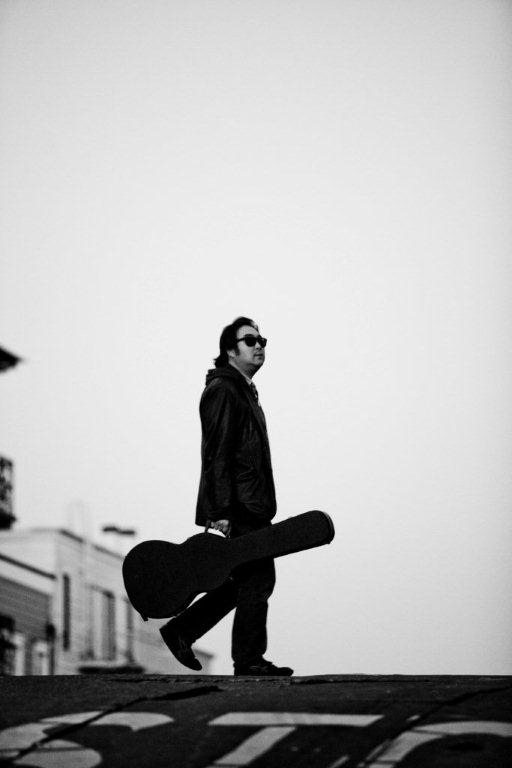 Directed by Dave Boyle, SURROGATE VALENTINE is about a San Francisco indie musician who lives a life on the road, navigating friendships and relationships. The film stars Goh Nakamura, Chadd Stoops and Lynn Chen. This marks Dave’s second appearance at the festival following BIG DREAMS LITTLE TOKYO in 2007. The 12 films weren’t the only major announcement from DIFF last week. 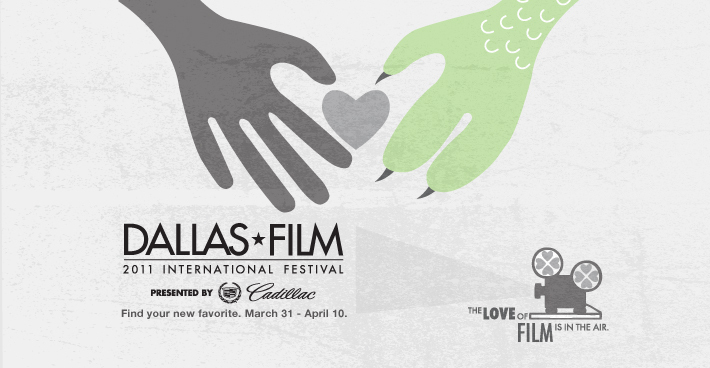 For the first time since the inception of the DALLAS International Film Festival, automotive giant CADILLAC has signed on as presenting sponsor. Metroplex Cadillac Dealers will be providing the festival with a Cadillac fleet to transport filmmakers and festival guests around Dallas for the entire 11-day duration. “We are proud to be able to support the DALLAS International Film Festival in this capacity,” said Tom D’Angelo, Regional Marketing Manager for Cadillac, South Central Region. “Metroplex Cadillac Dealers are dedicated to celebrating the arts within the community and what a better way to do this than supporting an internationally respected festival of this caliber.” To entice festival audiences even further, the DALLAS Film Society will be launching a raffle for one lucky winner to walk away with a 2011 Cadillac CTS Coupe. On February 10, a CTS Coupe will be unveiled at an ultra chic festival kick-off party at Stanley Korshak in Dallas – only 1,000 raffle tickets will go on sale for $100 each or 6 for $500. The winner will be notified following the DALLAS Film Society Honors on April 8, 2011. 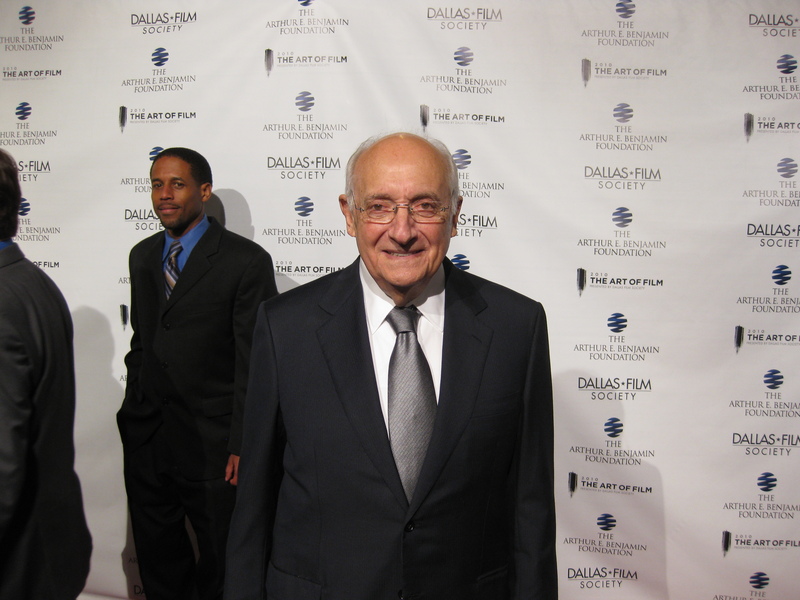 Liener Temerlin at this past year’s Dallas Film Soceity’s Art of Film that honored Robert Duvall. A few more Sundance films will be making their way to Dallas!! One of those films we’ve highlighted right here on PSD with an interview with the great director and the other one we’ll be highlighting very soon!! Also if you’re a fan of the great Bob Wilonsky well then make sure to check back for more info about the festival’s media sponsor this year!! Enough teasing. Go get your passes already!! 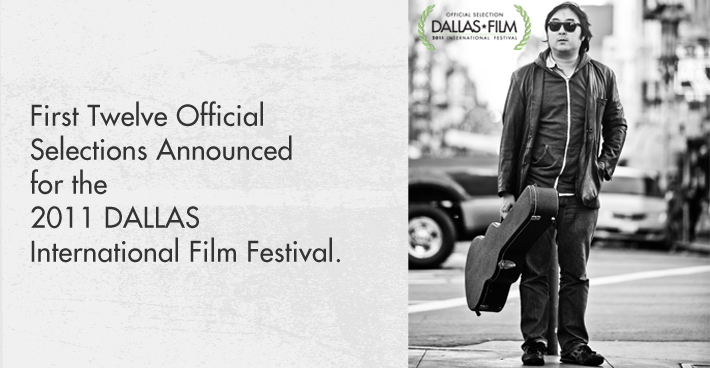 Passes and tickets will be made available via online (www.dallasfilm.org), and phone (214.720.0555).